Computer hard drive upgrades are a common need for most of our Ottawa customers. The need to upgrade your hard drive arises for a number of reasons. At Snappy Tech Ottawa, we can examine your hard drive issues, make recommendations to upgrade and/or replace your hard drive. We handle both the data transfer and the supply and replacement of your hard drive. We can clone and image your current hard drive to clone your current system with all your data, system accounts, settings, applications and more. There are also many other reasons to want to replace or upgrade the hard drive of your computer. Hard drive technology is always changing and getting faster in terms of data reading speed, memory size and much more. Very often you also exhaust your storage space for a number of reasons, and sometimes your computer may warn you that your hard drive is failing. We offer our hard drive upgrade service to businesses and individuals in the Ottawa Region. Our Ottawa technicians will gladly assist you with any inquiry you may have about our upgrade service. The most common reason to replace your hard drive is imminent failure. This usually happens because the hard drive is simply too old, or due to manufacturer error. At times you want to replace your hard drive to improve system performance, capacity or just to have the latest in drive technology. 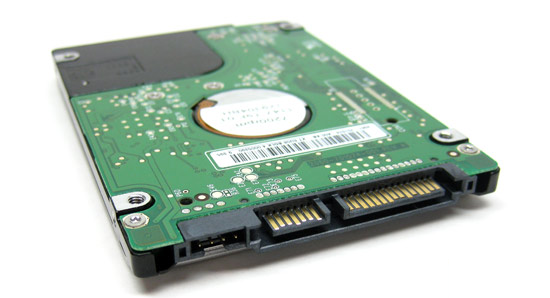 Depending on your needs, we will find the most optimal and best hard drive that is compatible with your system. From SATA, IDE, Ultra-IDE and Solid State, we will help you get the best drive technology. Worried you will loose your data? We will make sure your date is backed up, or clone your whole system. We replace hard drives for both laptops and desktops and for all major computer brands such as HP, DELL, Gateway, Asus, Apple and other computers. We know hard drive technology, motherboards, compatibility and much more. We make sure you get system that is fully tested post-replacement, and that all thing work well. Our replacement service is priced such that you don’t have to break the bank. Aside from cloning or backing up your data, we also give you a great warranty on both the hard drive and system issues that may occur post-service. Need a computer hard drive replacement in Ottawa? Snappy Techs Ottawa technicians are ready to help you with expert knowledge and service.